Search Results for "turbulent water"
Top view of turbulent stream of blue water flowing through the rocks. Scenic view of mountains river. Turbulent flow water. Turbulent Water Surface . Water fall. 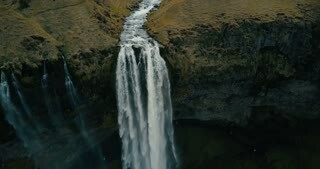 Aerial senital drone scene of water flowing of the Yellow River in Famatina Mountains. Close detail of turbulent water movement. Camera moves slowly over golden water. La Rioja , Argentina. 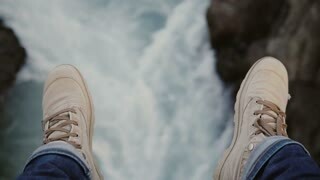 Slow motion of river water flowing through the river flow. Waves and cascades on river surface, close up. Daylight reflection. 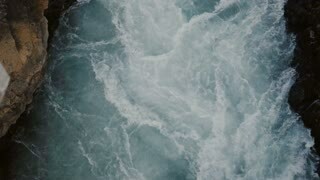 Turbulent water. Flood - Serbia 2016. Muddy river water flowing through the river flow after rainstorm, slow motion. Swelling of dirty water, close up. Daylight reflection on the wavy surface of the water. Turbulent murky water. Flood - Serbia 2016. River, dam with winter scene in background. The turbulent water of the dam in the winter. Visible icing and icicles. The turbulent water of the dam in the winter. Visible icing and icicles. A young woman is sitting on a deck of a ferry, watching the sea. Autumn time at the sea. Windy weather. Warm clothes. Turbulent water. Turbulent waters in cloudy weather. The turbulent waters that are stirred up by the boats powerful engines cutting through the frigid ocean in Lofoten, Norway. The turbulent water of the dam in the winter. Visible icing and icicles. River, dam with winter scene in background. PHILIPPINES, PROVINCE LAGUNA, APRIL 1978. Pagsanjan Falls. Expert Boatman With A Paddle, Manuevers A Boat Full Of Tourists Through Turbulent Waters Of The Pagsabjan River. Flood river flowing through the river flow after rainstorm. Turbulent water flowing riverbank. 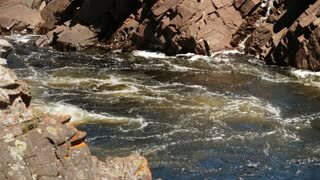 Waves and cascades on river surface. Daylight reflestion. Flood - Serbia 2016. Fast river flow in slow motion after floods. Turbulent water flowing. Waves and cascades on river surface. Daylight reflection. Flood - Serbia 2016. River flow in slow motion, flooded pole on the riverside. Flood river destroyed coast. Turbulent water flowing. Flood - Serbia 2016. Turbulent water surface with foam. Shot with high speed camera, phantom flex 4K. Slow Motion.